I’m not usually a fan of graphic novels, and I didn’t realize that this book is a graphic novel – well, actually, memoir – until after I bought it and cracked it open, at which time I groaned a little because it’s just not a format that generally appeals to me. However, I couldn’t help but scan the first couple of pages, and I was quickly taken in. Read my review in its entirety here. This was the first book I chose to read with my daughters (ages 9, 11, and 11) for our literature unit for homeschooling this school year. It highlights 26 noteworthy American women, one for each letter of the alphabet. The title pretty much says it all. My girls and I really enjoyed this book. I’m embarrassed to admit that there are several women in it whom I was not familiar. Each page includes a cool painting of the women highlighted, and a good deal of interesting facts. The women portrayed are very diverse, in historical placement, ethnicity, and contributions. It’s a perfect feminist non-fiction for the ‘tween and younger teen set. I think it’s probably safe to assume that the majority of people are far more familiar with the 1939 movie version of The Wizard of Oz, starring a young Judy Garland, than with the book that spawned the movie. I’m not sure why the movie ended up being so much bigger than the book, which actually did do very well when it was published in 1900. In any case, I’ll assume that anyone reading this is familiar with the basic plot of the story: a young girl who lives with her aunt and uncle on a farm in Kansas is swept away, along with her beloved dog, by a cyclone – house and all – and dropped in a strange, faraway land. Wanting very much only to get back to Kansas, Dorothy is directed to the Great and Terrible Wizard of the land of Oz, which is very far from where her house was dropped, killing the Witch of the East, in the Land of Munchkins. She is set upon a road of yellow bricks which will lead her to Oz, her only hope. Along the way, she meets a scarecrow, a man of tin, and a lion, who each in turn also want something from the Great and Terrible Wizard, so they join Dorothy on her journey, and along the way, they have adventures. The story differs from the movie in many ways, from the Witch of the West’s appearance in the story, as well as the two Good Witches, and perhaps biggest of all, the fact that the book does not present the entire story as a dream Dorothy has while knocked unconscious by the cyclone. The book also presents the reader with more characters and more strange lands than the movie does, without being burdensomely long. My girls and I listened to the audio version of this book, read by Anne Hathaway, for our homeschooling literature. We all enjoyed it very much, and I encourage anyone who has seen the movie but not read the book to read it. So opens this short novel written for the pre-teen set. Strictly speaking, this book is not about disability …. After having numerous friends (mainly parents of children with disabilities) rave about this book, I read it with much anticipation. I kept waiting for it to grab me, but it never really did. It’s safe to assume that I’m in the minority in that I did not love this book. 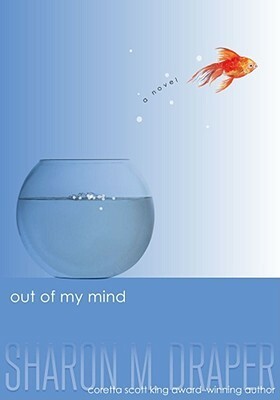 Written for the preteen/adolescent set, it’s a fictional narrative by an eleven-year old girl by the name of Melody who is profoundly disabled by cerebral palsy. I’m surrounded by thousands of words. Maybe millions. Words have always swirled around me like snowflakes – each one delicate and different, each one melting untouched in my hands. Deep within me, words pile up in huge drifts. Mountains of phrases and sentences and connected ideas. Clever expressions. Jokes. Love songs . . . .
Melody is wheelchair bound and not only can she not speak, she cannot feed herself or dress herself or bathe herself. She is unable to use the bathroom by herself. Most people assume because of her physical limitations and absence of speech that she must also have severe mental limitations, and she spends her days in a special ed classroom where a procession of teachers with low expectations parade in and out. Melody is bored and frustrated. She wants to fit in. She wants to have friends. She wants to say what’s on her mind, but her words are all stuck inside her mind – until she acquires a speech device that finally allows her to express herself. It’s a dream come true – but will it change Melody’s life and people’s perceptions about her in the way she hopes? I was tempted to call it a “feel good story” until about three-fourths of the way through. Though it’s written for kids in the 9 – 12 age group, I appreciated the fact that it’s not all wrapped up with a pretty bow at the end. That said, there were several things that bother me about the story: most of the kids that populate the book are downright obnoxious, and it was difficult to like any of them. I suppose this was at least partly intentional on the author’s part in order to create a “Melody vs. The World” dichotomy. There is one girl who sort of befriends Melody, who is clearly conflicted, and she was probably the most likeable and believable character. It felt like the author was unsure of the era in which the story takes place – she has Wiis and iTunes existing alongside MySpace, which as far as I know has been dead for years. While not a major thing, it was a distraction. The kids used “hip” lingo that I’ve never heard (do kids really say, “That’s so tight!” or “That’s what’s up!“? Maybe I’m out of touch – or maybe it’s a geographical thing – none of my kids have ever used those phrases), so that felt unrealistic. The author does not seem to have a grasp of the difference between “inclusion” and “mainstreaming” in the realm of school, and nothing seems to be decided by way of IEPs. Also, aides for disabled students are really awesome and involved and attached, almost members of the family. Yeah, right. Not that there aren’t good aides out there, but I thought the author’s portrayal – especially of Melody’s aide – was a pretty major departure from reality. Oh! And the classmate with Down syndrome! I’m convinced the author read something with a title like, “Stereotypical Down Syndrome Traits.” Always happy. Hugs indiscriminately. Possesses sixth sense about other people’s moods and emotions. Gag. What bothered me most of all, however, was the same old valuing of people based on intelligence. Melody, you see, while profoundly physically disabled, is pretty much a genius. Even she says that she hates the word “retard.” I got the distinct feeling it wasn’t because she felt it was mean or derogatory or marginalizing, but rather because she’s not “retarded.” “She may be severely crippled, but at least she’s not retarded!” the author seemed to be saying. I’m so tired of this message – so tired of our society’s insistence on valuing people based on intelligence and potential to achieve, rather than on humanity. There was also the fact that Melody’s parents, while loving, fierce advocates, seem to have no qualms about expressing – to Melody! – that, yeah, she’s defective, broken, messed up. When her mom is expecting another baby, everyone is worried that the new baby will also have CP. “We love you, Melody, but we sure hope and pray that this new baby isn’t screwed up like you,” they pretty much tell her. It was frustrating and disheartening. 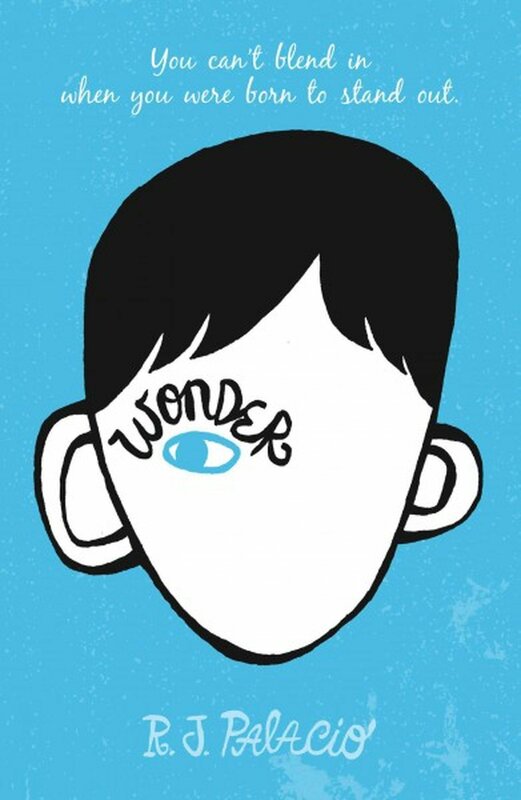 I can see the pluses of this book for the age group it’s intended for – by allowing kids a glimpse into the mind of a child with disabilities, it might serve to demystify disability to an extent and foster compassion. However, I feel that the positive impact it could have is mostly canceled out by the negative messages about disability. I’m not sure I would even recommend this book to my own kids, who have a sibling with a disability. You’ll have to excuse me; I’m in mourning. You see, I finished the final installment of the Harry Potter series last night. With tissues in hand and tears streaming down my face, I turned the final page. 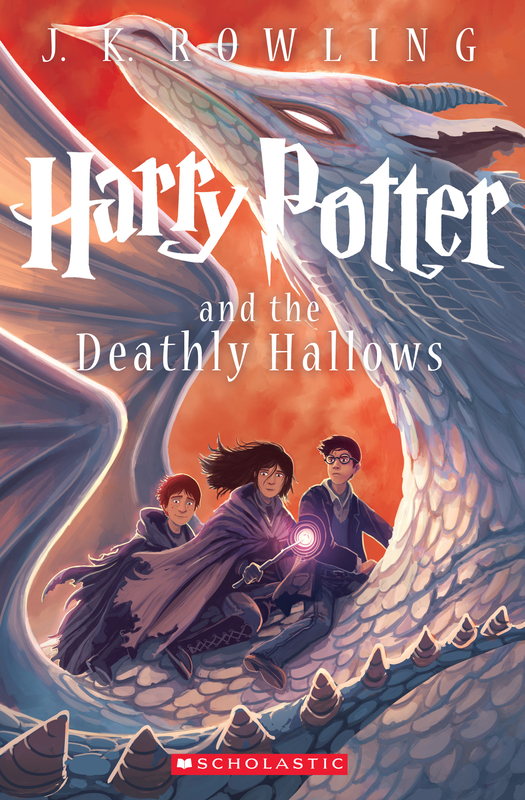 In this, the seventh installment, Harry and company are seventeen and should be entering their final year at Hogwarts School of Wizardry and Witchcraft. But there will be no seventh year at Hogwarts, because the wizarding world is at war with Voldemort and his Death Eaters. The Ministry of Magic has been infiltrated and taken over by the Dark Lord’s soldiers, and Harry is on the run – frantically trying to fulfill the mission left to him by Dumbledore, after a surprisingly somewhat touching parting with the Dursleys. All Harry has left in the world is what he has learned at Hogwarts and through his own trial and error, ingenuity, and perseverance – and the love and loyalty of his friends. Is it enough to see him through to a victorious end? Well, I won’t give it away. I will say that, with six books behind me, I couldn’t imagine any more twists or turns to Harry’s odyssey, but I was left with my jaw hanging once again. The final battle scene is intense, and although in the end, the story wraps up neatly, I felt a little emotionally drained – in a good way. What ever happened to Harry’s grandparents – why didn’t they raise him rather than his aunt and uncle? Who pays Muggle-born students’ tuition to Hogwarts? It’s not as if Muggle parents budget for the possibility of their children being witches or wizards and therefore requiring magical education at a unique and prestigious magical boarding school. For that matter, how did the Weasleys afford tuition for SEVEN children at Hogwarts? I mean, they barely made ends meet. How in the heck do the powers-that-be convince Muggle parents that their child is, in fact, a wizard or witch, and needs to be taken away by strangers to go be educated at a far off magical boarding school? Who pays the salaries of the teaching staff at Hogwarts? Why are none of the professors at Hogwarts married, and why do none of them appear to have children of their own? How is it that once witches and wizards reach eleven years old, they are immersed in magical education but cease “traditional” education – no more math, literature, geography, spelling, etc. I also have to say that with everything Harry went through – with all the terrible losses he sustained, the torture and injuries, there is just no way he wouldn’t be completely and utterly tweaked, am I right? But I know, it’s just a kid’s story, and we prefer our heroes resilient and well-balanced. Also, after seven years of high adventure and danger, I don’t think there is any way Harry Potter could have gone on to live a sedate, steady life with a wife and kids. I can’t picture it. At the very least, he would have become Minister of Magic . . . or Headmaster of Hogwarts. But we, the readers, are left to imagine Harry’s future for ourselves, I suppose. In any case, I grew far more attached to the characters populating these books than I ever imagined possible – and I truly loved the adventures and the story from beginning to end. I am serious when I say that I feel a sense of loss to have finished the series; it feels like saying goodbye to old friends. Part of me wants to take up the first book again, just to bring it all back. I’m sure I’ve mentioned this, but for years I steered clear of the Harry Potter series. My oldest son, now 17, started the series when he was in second grade and has since read the series in its entirety probably a dozen times, and for years he urged me to read it, and I resisted. I resisted even when all of my grown-up friends were reading it and raving about it. I had ZERO interest in a children’s fantasy series, and honestly couldn’t understand why everyone and their brother seemed to be so enamored with a kids’ book series which I vaguely understood to be about wizards. It wasn’t until I read J.K. Rowling’s The Casual Vacancy last summer (and loved) that I decided that reading Rowling’s other work might be worth a shot. And even then, when I finally picked up the first book in the Harry Potter series, I could not have imagined how invested I would become in the characters and story of Harry Potter. I get it now. Harry Potter and the Half-Blood Prince takes us back to Hogwarts once again. Harry, tortured but ever resilient, is sixteen years old now, and Voldemort and his Death Eaters are on the loose. 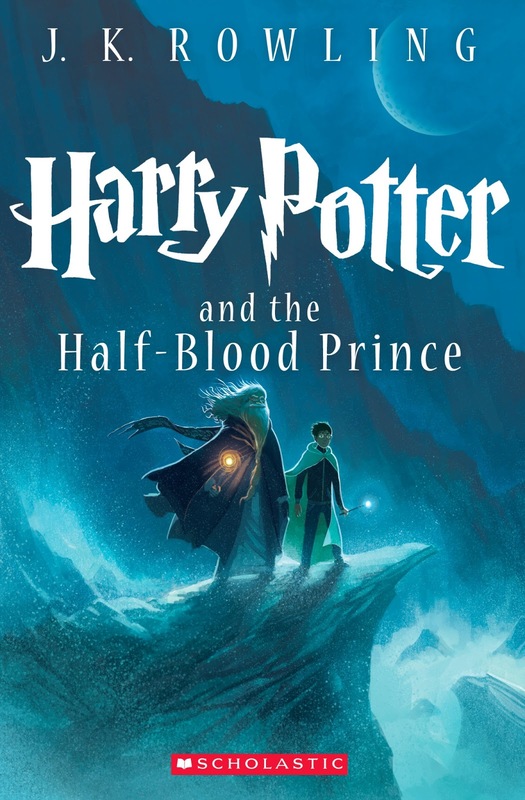 Something fishy is going on with Draco Malfoy and Professor Snape, and Harry is determined to find out what, exactly, they are up to – but nobody, not even Dumbledore, will take Harry’s suspicions seriously. Quite by happenstance, an old, marked-up textbook lands in Harry’s hands that allows Harry to excel at Potions; this old textbook claims ownership by a mysterious self-proclaimed “Half-Blood Prince.” Who was the Half-Blood Prince, and how and why did he create the secret spells and potions contained in the margins of this old school book? In the midst of learning to apparate, trying to solve the mystery of the Half-Blood Prince and Malfoy’s suspicious activities, and meeting with Professor Dumbledore for private trips into the past via the Pensieve to learn everything he can about Voldemort, Harry is also very much a typical teenager who is feeling the first stirrings of romantic love. Can he betray his best friend to go after the girl he wants? 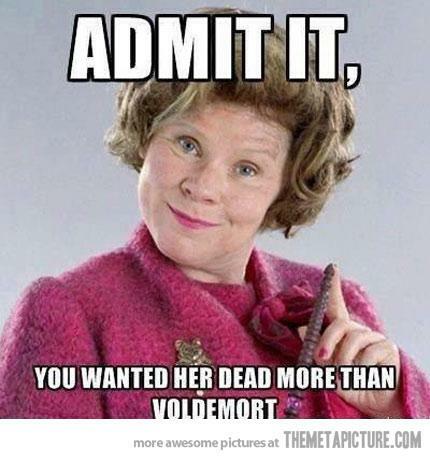 Rowling does a fabulous job of taking the story line down more mature paths as the characters mature. The story has become darker and more sinister, more grown-up, and more adventurous. The end of this book left me reeling – and bawling my eyes out. This, the fifth book of the Harry Potter series (which I was never going to read), might be the best so far. Harry and his cohorts are fifteen now, and full of teenaged piss and vinegar. I am very much appreciating the character development as the series progresses, with the characters growing and maturing along with the original readers of the series. I’m also appreciating the fact that for a hero, Harry is in most ways a typical, angsty teen prone to fits of temper and acts of rebellion. The Dark Lord is back, but the Ministry of Magic is in complete denial about it. Instead, Cornelius Fudge, Minister of Magic, is convinced that Dumbledore, Headmaster of Hogwarts School of Wizardry and Witchcraft, is conspiring to push Fudge out and take the position of Minister of Magic himself. Fudge installs one Dolores Umbridge at Hogwarts to ensure that the school is being run up to snuff in the eyes of the Ministry, and under her direction, Hogwarts goes to hell in a handbasket. The power struggle between Fudge and Dumbledore – purely a product of Fudge’s imagination – is, unfortunately, a terrible distraction from the real problem at hand – the return of Voldemort. Meanwhile, Harry is painted as a lying, attention-seeking, addle-brained adolescent by the Ministry and the Daily Prophet newspaper, and Harry suffers being treated more and more like an outcast by his peers at Hogwarts. The bonds forged between the characters is a beautiful thing – between Harry, Ron and Hermione, between Hagrid and Harry, between Sirius and Harry, between Dumbledore and Harry. Though more and more an outcast, Harry has some big supporters. Still, he is a boy in adolescence, a boy in a suspended state of grief, a boy with no real place to call home. I loved this book. Hopefully it won’t be too long before I can get to the next one, although I’m already finding myself sad that there are only two more books left in the series. Things are getting heavier at Hogwarts in this, the fourth installment, of J.K. Rowlings’s Harry Potter series. Harry and his cohorts are now fourteen-year old fourth years at the school of witchcraft and wizardry, and their adventures are becoming more mature, and laced with not a little teen angst. The story rolls out with the Weasleys appearing in the Dursleys’ fireplace to retrieve Harry in order to attend the Quidditch World Cup – and you know how the Dursleys feel about magic and magical people. The guests are not well-received by the Dursleys, to say the least. But Harry is, as ever, glad to make his departure from his aunt and uncle’s house after another tortuous summer break spent with them. At the World Cup game, a melee ensues after the Dark Mark appears in the sky, warning of Lord Voldemort’s imminent return. Is it a hoax? Nobody seems to know for sure. Back at Hogwarts, an announcement is made that a Triwizard Tournament will be held for the first time in many years – and will be hosted by Hogwarts. The Triwizard Tournament is a contest of three tasks, spread over the course of many months, in which the contestants – traditionally three students, one from each of the European wizarding schools – must exhibit bravery and skill to win the Triwizard cup. 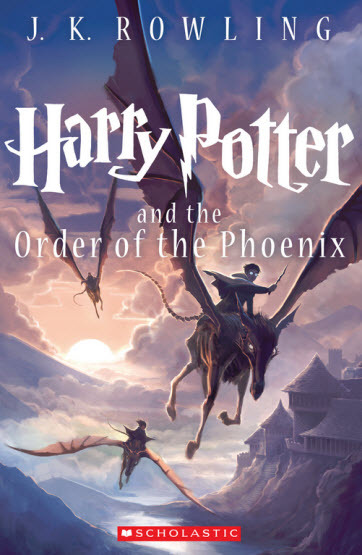 Because of the dangerous nature of the tasks and the level of wizarding know-how necessary to compete, students under the age of seventeen are prohibited from entering their name into the Goblet of Fire – the magical goblet that chooses the contestants. Somebody puts Harry’s name in the goblet, however – somebody who wants Harry dead. The goblet chooses the three contestants from the different schools . . . and then also chooses Harry to compete (of course – you didn’t think this whole book would just be about Harry observing the contest, did you?). Well, I won’t spoil the rest for you, in case you haven’t read it. Suffice to say that high adventure abounds, and the adventures are growing darker. 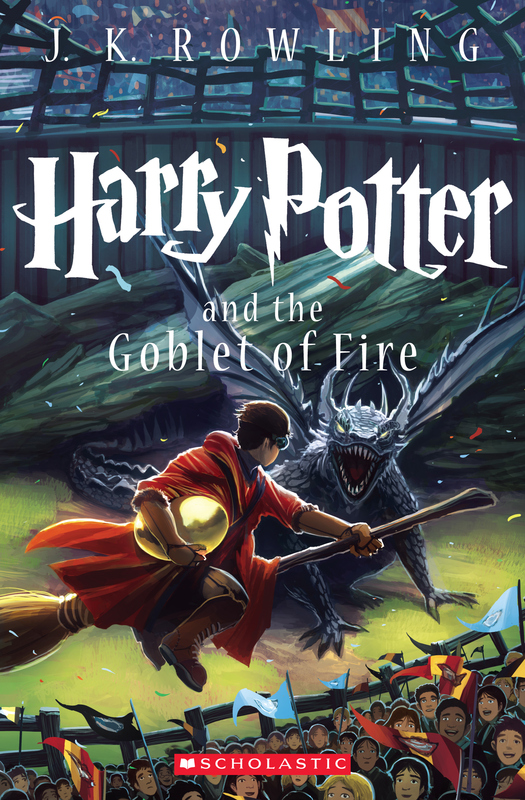 In this book, Harry definitely turns a certain corner of maturity – thanks both to his age and the events he is subjected to. I’m not ashamed to say that I turned the final page of this book with a few tears. I’ve got quite a few other books to read over the next few weeks, but hopefully it won’t be too long before I get to the fifth Harry Potter book.